Spending the better part of January battling flu was not exactly how I'd planned on kicking off the new year but what can I say. It's flu season and as careful as I have been, flu happens. This year's flu can be a tricky and dangerous one and when I first started getting symptoms, I got in touch with my doctor. He thought it might just be a simple cold but when it never really developed into a cold and when my temperature started shooting up and the aches and pains started, I went to the doctor again. I had gotten myself a case of flu. He prescribed Tamiflu for me, and a prophylactic dose for Alan since he'd been exposed to me. I was very fortunate in that it worked well for me, bringing down my fever almost immediately and in Alan's case kept him from getting sick. I followed CDC rules, we turned my part of the house into a sick room and I stayed put for 10 days or more, until my fever was gone for 48 hours without any fever reducing medicines. So, here I am, out the other end of things, feeling a whole lot better, still taking it easy but itching to get in front of the stove again. But, what to cook for my first meal back in the saddle? Something easy, something nourishing, something not soup. Not that I have anything against soup, but I've spent a lot of time with soup during the last 2 weeks and I wanted something solid. Looking around the local Friday morning Sonoma Organic Farmers Market the one thing I'm finding that is plentiful this time of year is cabbage. For such a cheap vegetable, cabbage has a lot going for it. High in fiber, full of glucosinolates (sulpher based compounds with anti-cancer properties), it's a great help in lowering cholesterol, and it's also high in antioxidants. It's also dirt cheap. Take that high priced acai berries! 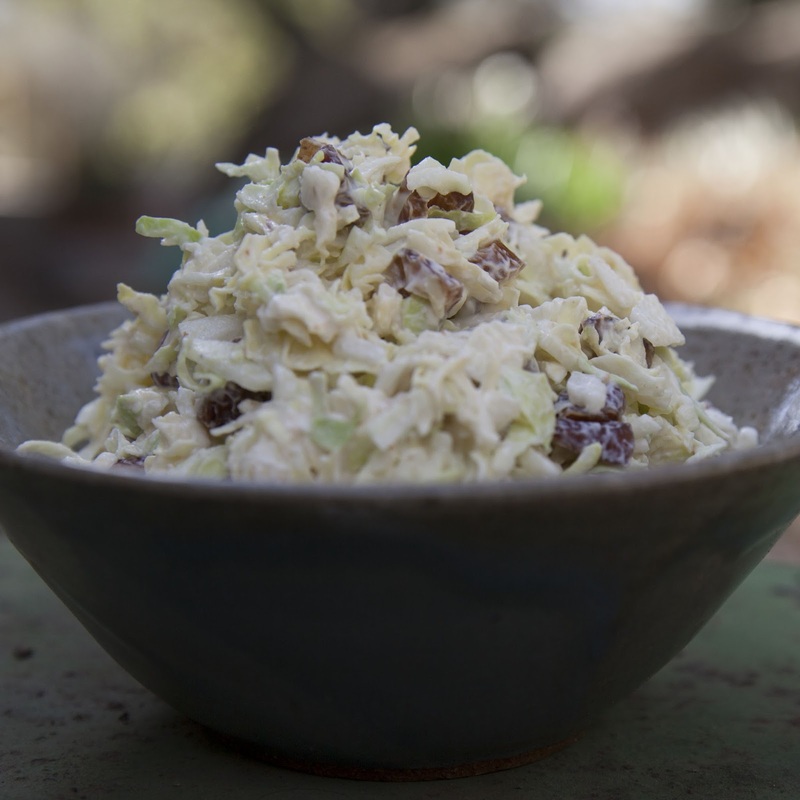 I tend to cook a lot of cabbage this time of year, I find it the perfect fill-in dish for Indian buffets and all the entertaining we tend to do when it comes to watching award shows and bowl games. 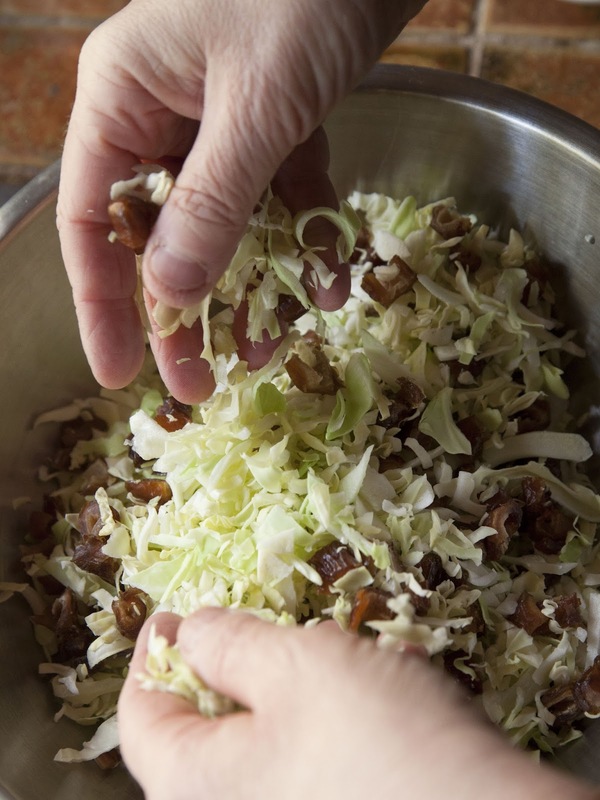 I'm always looking for new and better ways of preparing cabbage and thought I'd found most of them until I ran across this recipe from my friend Monica Bhide. 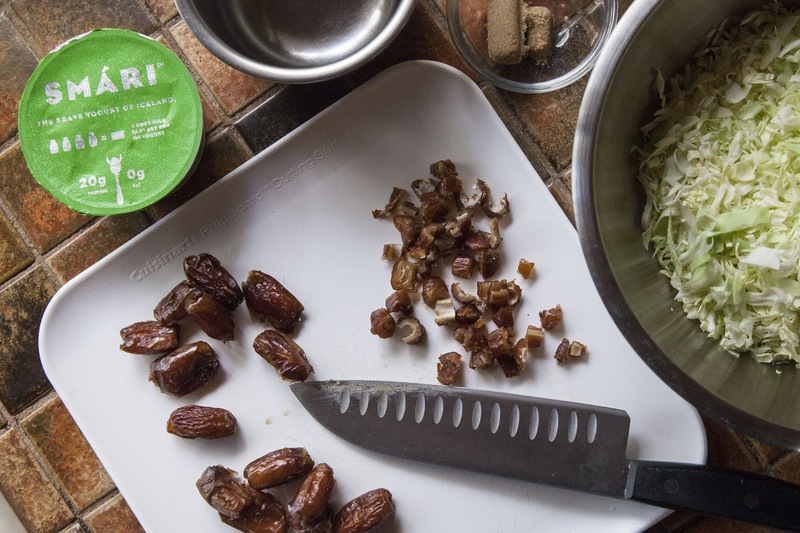 It's a very simple and tasty recipe for a date and cabbage slaw. Easy to fix, using easy ingredients, it's just the sort of thing to prepare after being away from my regular cooking for a while. 1/2 cup of dates, pitted and chopped. Pit the dates and chop them into bite sized pieces. Mix the chopped dates into the chopped cabbage and set them aside. 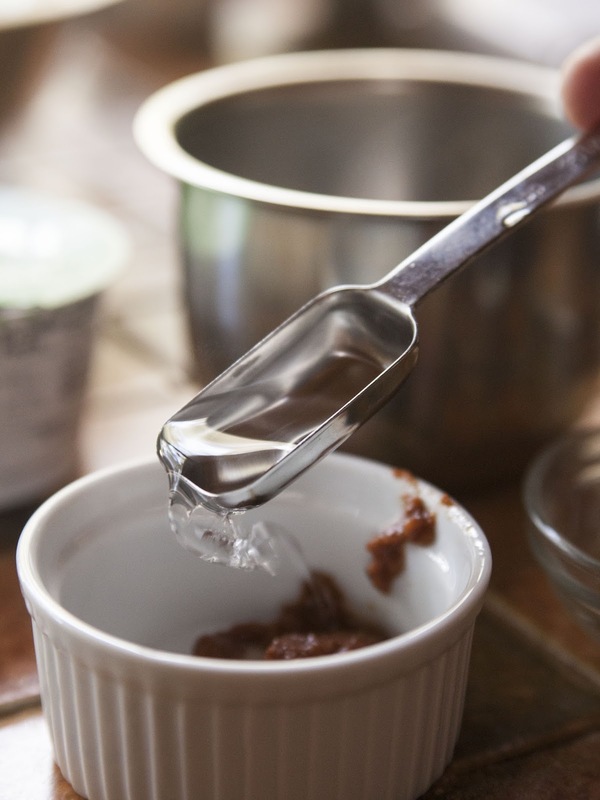 Put 1 and 1/2 tsp of tamarind paste into a small bowl. Mix 2 Tbs of hot water into the tamarind paste. 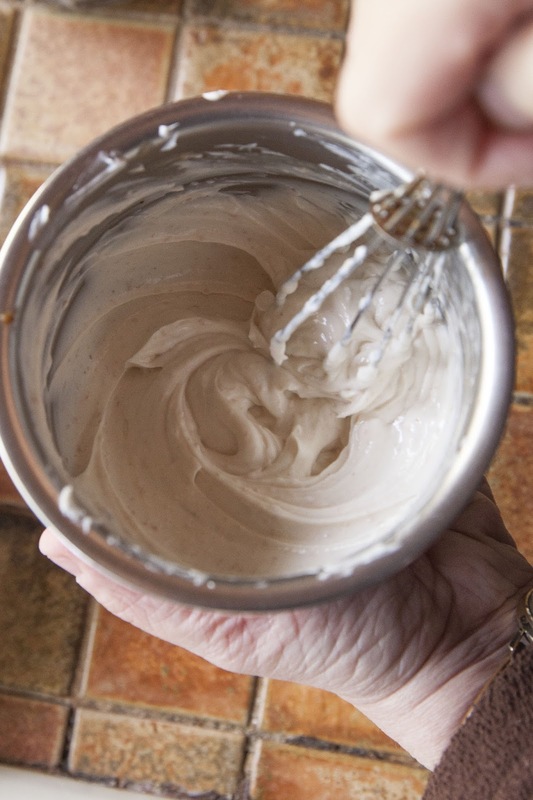 Stir it together into a paste. 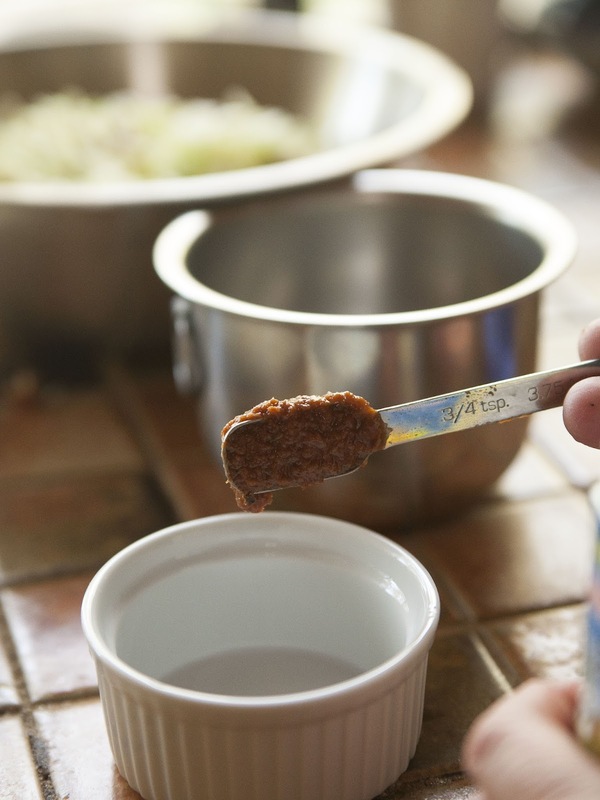 Put the tamarind paste into a bowl. Add in the salt, the brown sugar and the yogurt. It seemed like the perfect recipe to try out my plain Smari Organic Icelandic yogurt. It worked beautifully, giving me a thick and creamy dressing for the cabbage. 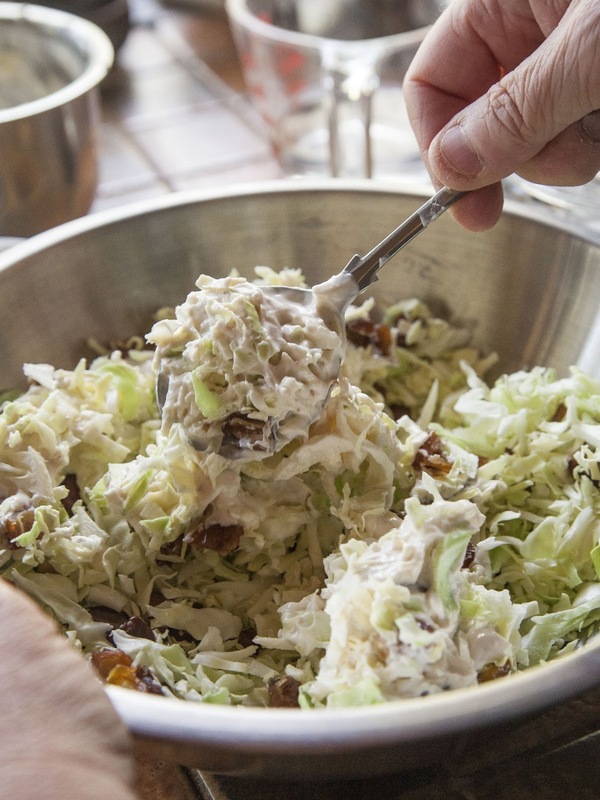 Add the yogurt dressing to the cabbage and date mixture. 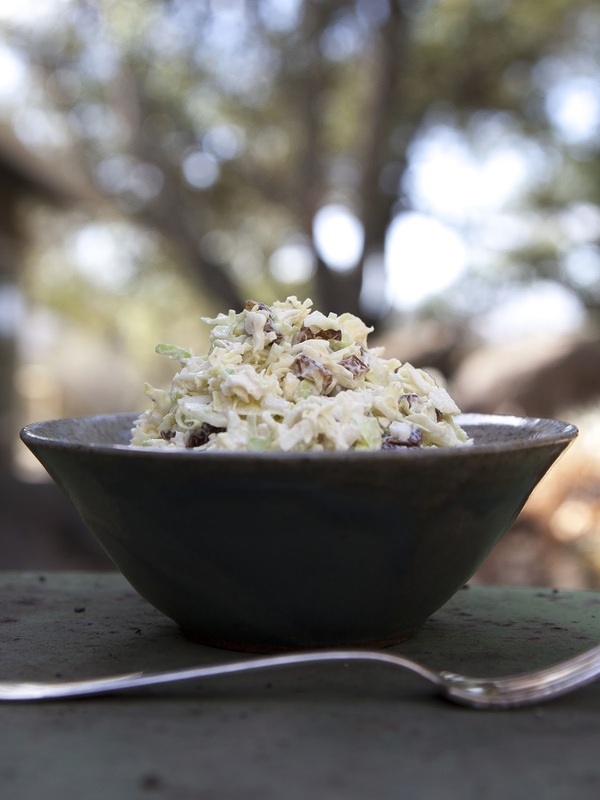 Stash the cole slaw in the fridge for about 30 minutes or so to chill then serve it up. Oh yum...I just love dates and can almost taste that tangy, sweet combination. Alas, no tamarind in this house...is that something I can find easily, ie at the regular grocery or do I need to make a trip to an Indian market? So sad that you were not feeling well - this is a great twist of the traditional slaw! Good post. Flu symptoms should never be taken lightly. Thanks for posting.